There is nothing wrong with looking for a vehicle that has technology that enhances entertainment and other experiences while you are on the road. The 2019 Ford Ranger has a few features that are great for making sure that you are connected and experiencing some of the best in entertainment. Ford Mustang owners have come to expect the best from their favorite automobile. The sporty and powerful version that we know today had its beginnings as a muscle car. Now, advanced technology makes it even better. Ford’s MagnaRide Damping System uses advanced technology to respond 1,000 times per second to road surface changes for each damper. If you want to drive a full-size SUV with high-tech features, check out the Ford Flex at Bill Fick Ford. Having a lineup of three trims, this modern vehicle offers great connectivity options for drivers and passengers in Huntsville. An infotainment system with the SYNC 3 technology is installed in the Flex. How capable is the Ford F-150 in Huntsville? Its towing specs alone reveal the strength of this pickup. 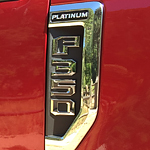 With the second-generation 3.5L EcoBoost® V6 Twin Turbo, conventional towing rating maxes out at 13,200 lbs. With help from 375 horsepower and 470 lb.-ft. of torque. If you prefer the 3.0-liter Power Stroke® Turbo Diesel, towing still reaches 11,400 lbs. With 250 horsepower and 440 lb.-ft. of torque. Live your racing dreams around Huntsville in the Ford Fiesta ST. It announces its sleek and aerodynamic track profile with side rocker moldings, dual exhausts tipped in chrome, wide wheel arches, aggressive lower extensions for the rear fascia, and available Ebony Black-painted aluminum wheels that flash red brake calipers and measure 17 inches. The muscle behind the Ford Mustang has been a fact of American automotive life for decades. At Bill Fick Ford, we like to point out the available 5.0-liter V8 that generates up to 460 horsepower and 420 lb.-ft. of torque. Its transmission choices include a 6-speed manual or a 10-speed SelectShift automatic. 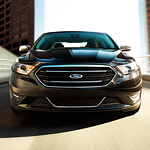 The Ford Fusion is a popular midsize sedan that has repeatedly been ranked as tops in its class. It’s ranked highly in many categories and performance is just one of them, but it’s one worth mentioning. Stop at Bill Fick Ford and check out the new 2019 Ford Fusion and see its greatness firsthand. You have a set amount of time on your lease before it expires. You know that going in. Therefore, we at Bill Fick Ford want to help you understand how to prepare for the expiration of that lease. Regardless of the type of driving you do, if you want to arrive in style, don't look further than the 2019 Ford Taurus. The full-sized sedan combines comfort with sleek and dynamic lines so that you can take pride in your ride. When searching for a heavy duty pickup truck, you look for something that will inspire you and push you to get a lot done. The Ford Super Duty is a strong truck that has productivity features that help you with all of the work before you.